Beef Talk: Are Cattle Records Worth the Effort? I have said many times that the constant in beef production is change. I remember when I graduated from college in 1975, the continental cattle influence was strong. People had to reposition themselves around the animal so they could be seen in the picture. At the same time, calves were weighing off cows at 469 pounds. As a new county Extension agent, I received my first free sample of Roundup herbicide. Producers from crop-growing counties gathered around to hear about anhydrous ammonia fertilizer. As one traveled through the Midwest, summer fallow still was a term farmers used, and weed control was optional. Management practices and tillage were expected to control weeds. Crops that were not a success went to the cows, or maybe the sheep. Yes, cows and sheep were prevalent, along with hogs and chickens. Today, Roundup herbicide and anhydrous ammonia fertilizer are utilized extensively throughout agriculture, and calves are weighing in at more than 600 pounds after seven months of grazing. For those who lived this cycle, sometimes comprehending the magnitude of the change is hard. The seeds of change from the 1960s and 1970s sprouted and now populate agriculture in truly mind-bending ways. Early in my career, guiding producers and implementing record systems that documented that change was crucial. Producers could not only see the change but could record the change. A former co-worker, Harlan Hughes, often said, "You can't manage what you don't measure." As another fall comes upon us, I can't help but wonder who will miss the opportunity to record in writing factual data regarding their beef operation. Since 1963, the North Dakota State University Extension Service, through the North Dakota Beef Cattle Improvement Association, has been a leader in the evaluation of cattle records. Thousands of cattle have been weighed and evaluated. Thousands still are processed through the Cow Herd Appraisal of Performance Software (CHAPS) program. Having been involved in the evaluation of those records, they are important. And yet, as one visits with many agricultural producers, the industry struggles with recordkeeping. The agronomic side of the business has the Farm Service Agency to help keep track of those cropping records required through the U.S. Department of Agriculture (USDA). Records are required to be maintained by those who apply restricted-use pesticides. The USDA Natural Resources Conservation Service has tremendous programs available for the management of range and other natural resources. The USDA Agricultural Marketing Service generates hourly market reports, along with detailed summaries for agricultural commodities, that extend worldwide. 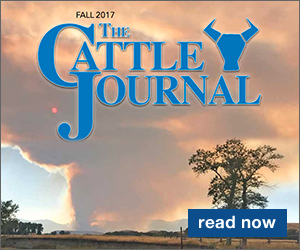 But when one turns to the livestock sector, in this case beef, oftentimes the response to records is simply, "… would like to, but just can't get them done." The reasons are varied, but the point is the same: no records. Why don't some producers record and track individual cow-calf data? I'm sure the reasons are many; however, time and cost are probably at the top of the list. Fall is roundup time. Today, many producers have cattle spread 50 or more miles from one pasture to the next. For the Dickinson Research Extension Center, cattle workdays mean the crew is loading horses by 5 a.m. and, depending on the pasture, rounding up cattle by 6 or 7. Providing all the cows are where they are supposed to be, they should be arriving just as the chute setup is being completed, the electronic scale calibrated and the day's objectives reviewed. If all goes well, the cattle should be worked by noon, with semis loaded full of this year's high-value calves destined for the weaning lots and the mother cows turned back to grass until time permits to bring them home. Weaning and weighing calves are hard work, and many days don't go exactly as planned. But still, chance did not get those 1975 calves that weighed 469 pounds to weigh in excess of 600 pounds today. Producers may have marveled at those great pictures back in the '60s and '70s, but good selection decisions based on data added the 130-plus pounds of calf weight to the cow-calf pair. 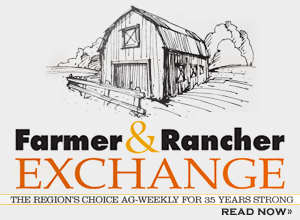 The appraisal of genetic and managerial inputs is critical to the management of a ranch. Good records help producers steer their business and manage change. Without records, a producer simply drifts with the trends. Trends are informative, but steering is better. And because change is inevitable, steering through it is critical.